Despite the recent announcement of Jorge Mario Bergoglio, the Argentinian chemical engineer- turned-Jesuit, as the next Pope, betting sites report an unwavering interest in Pope-related betting from their customers. 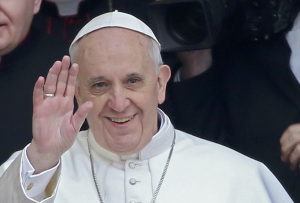 Pope themed betting continues on online betting sites with bets placed on the next pope to follow Francis I as well as his possible papal name. While before the appearance of white smoke betters were trying to predict the person who will take over as head of the Catholic Church after Pope Benedict XVI’s resignation, now the bets are placed on the next pope in line as well as his papal name. William Hill reported a staggering 6000 bets placed from 50 different countries with betting excitement easily reaching levels of the UK general elections as well as the US presidential elections. Paddy Power accepted over £750,000 worth of bets on “Papal issues” which is easily comparable to takings for a Premier League game. The clear favourite for the position of next Pope is Italian Angelo Scola who punters favoured in the first round of Papal betting as well. Odds for the title of Pope after Francis I include Angelo Scola – 5/1, Peter Turkson – 6/1, Christoph Schonborn – 8/1, Sean O’Malley – 8/1, Marc Ouellet – 8/1.